The remarkable RL24 is still Australia's most popular trailer yacht with over 500 sold. Sleeping 4 in comfort, this yacht offers outstanding performance, easy launching, retrieving and rigging and particularly for the boating family the RL24 has many safety features and is the winner of the Good Design Award. The award features include simplicity of rigging, self righting and buoyancy, ease of launching, main and forward cockpits, performance and comfort, unique motor well, and maintenance free hand-laid fibreglass construction. Designed to sleep 4, the interior is open and clear of unnecessary bulkheads to provide comfortable living. The midship toilet, galley and icebox areas are convenient and the cabin can be subdivided if required. Auxiliary power is provided by a 4 to 10 hp standard shaft outboard sited in a special well designed to prevent cavitation. After the successful testing of a prototype in 1972, the RL24s were built between 1973 and 1987. There were four models. Mark I : The first 10 had a slight chine mark up forward due to the original plug configuration. Altogether 100 Mark I's were built. 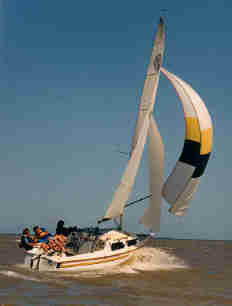 Mark III built from 1980 had a new deck with increased headroom and interior alterations. 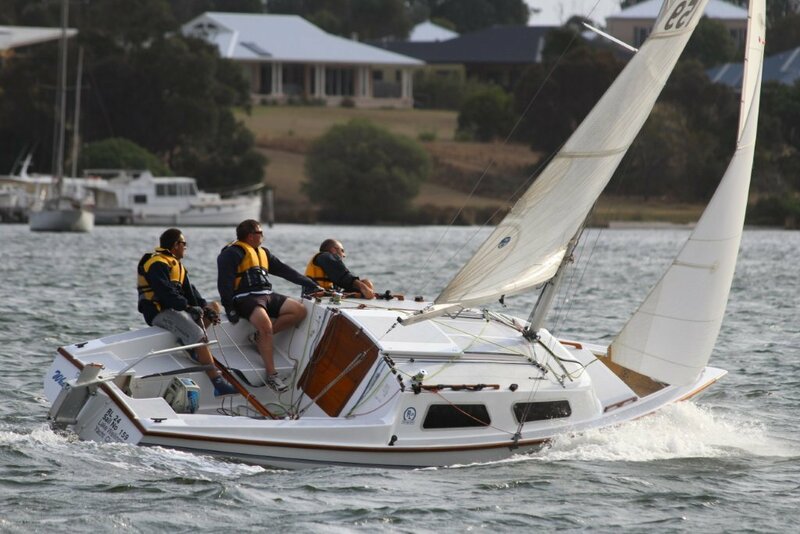 Mark IV is a faster boat designed primarily for racing with a fully batterned main and a drop keel and was instigated by Peter Yeomans of Sydney in his third RL24. The RL24 was also built in Minnesota U.S.A under license and some 500 boats were constructed there. A dozen were also built in Western Australia. Note.The original list of owners and sail numbers was lost a long time ago, and this list will not be completely accurate as it is derived from snippets of information collected over the years. Also. some sail numbers were issued in advance of their order by request to match the boat name, eg. "Calibre" sail No 303 should have been in the 200s.A block of sail numbers was allocated to the W.A. built boats but the builders concocted their own system, and some owners were just superstitious about numbers. The construction of some charter boats was delayed after numbers were allocated, but this list will give owners a reasonable idea of the manufacture dates of their boats. 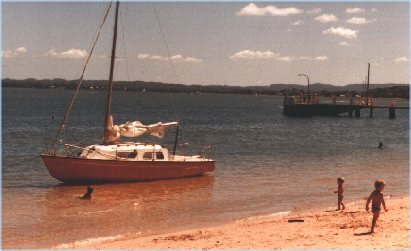 A group of boats sent to Victorian owners during 1973--74 were allocated the numbers 101 to 105, and were well out ahead of order, and, for a period at that time sail numbers were not issued until the boats joined the association.